 What cars are included in Kvdcars Certified? We’re now making it easier for you to buy a good and secure car. Kvdcars Certified will help you find a car that runs problem-free - from your first trip. All vehicles sold through Kvdcars have undergone our extensive and independent vehicle test. Kvdcars Certified gathers cars that meet specific requirements on condition and function according to the results of the test. So you can count on the car's important components, such as engine, gearbox and brakes, working well and without any problems. Equipment inside the car is also in good condition. Good to know, isn’t it? You can easily finance your car purchase with our ready-negotiated car loan. And to protect against unforeseen events, you can take out our car warranty from SEK 39/month Read more about our car loan with car warranty here.